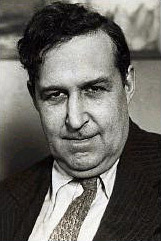 Heywood Campbell Broun, Jr. was an American journalist. He worked as a sportswriter, newspaper columnist, and editor in New York City. He founded the American Newspaper Guild, now known as The Newspaper Guild. Born in Brooklyn, New York, he is best remembered for his writing on social issues and his championing of the underdog. He believed that journalists could help right wrongs, especially social ills.